154Drive 1.1 is a special version of a “warp drive” idea that showed up recently. 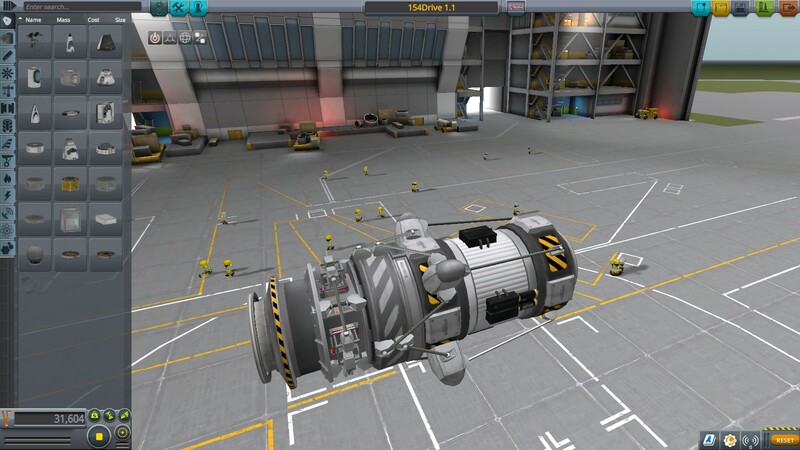 This one, unlike the others is built to be more campaign and role-play friendly by having a built-in flaw that allows it to only work for a certain amount of delta V. On its own it seems to prefer to hover around 40km/s of delta V. As for why it does this, it’s probably a result of the wheel stress mechanic and how it simply turns off the ability of the wheels to push against the fuel tank when it reaches 100. Results may vary.